As summer comes to an end and the leaves begin to change we can feel the change within us all. September with it’s equinox and eclipses is shaping up to be a very powerful time to change and LET GO! If you remember last September 2015 we can expect a similar strong shift of consciousness. To help you flow with the changes be sure to let go of the past and all your judgements. Love, accept and forgive yourself. It’s a daily practice for us all, but if you can let go of one old critical pattern today it allows the universe to open many doors of opportunities tomorrow. Keep up the good work and you’ll be flowing through this month with ease. My Dear Children, as our year begins to wind down, or to others get busy with the holidays, we begin our review of the year’s events. Have you noticed how communication and community have played a role in your year? Did you reach out for help from those around you when you have hid alone in the past? Did you share your experience of life unexpectedly with new people or even family? How have you involved yourself in the community? Did you connect with new guides/spirits this year? Have you come to a new understanding in yourself about why releasing the past is so important? Asking these questions helps us to not only see how far we have progressed on this path we walk but also how we are changing together with the energy of the planet. Making connections to why and how we are connected to life around us creates a reference point to who and where we are. You know the past because it was yesterday and all that you are is the combination of all those collected lessons to form your thoughts, perceptions, and actions now. You know that the future is tomorrow and no matter how you plan, scheme, and wish life will unfold in its own divine way because of past experience and knowing God has its own Divine plan. With this said you can look to the past and estimate the future. But most importantly you can know who and what you are in this moment. 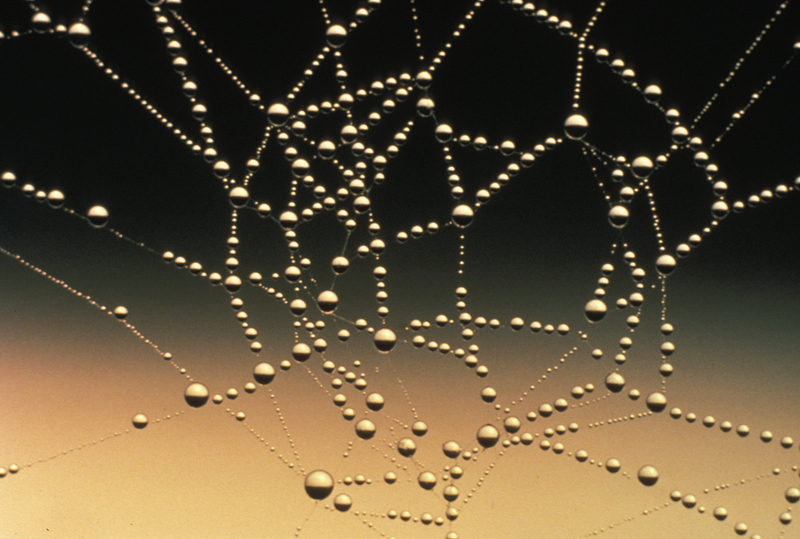 These threads of thought to the past and future are much like a spiders web creating pathways or strings connecting to us all. 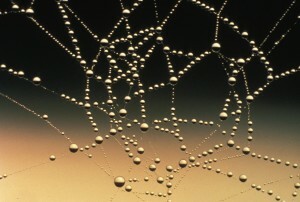 As we clean up the past releasing old pain, confusion and out dated beliefs we strengthen the webs of the present. When we release expectations of our control of what may or may not be tomorrow we again focus our energy in the moment of now. These connections are important. They are the threads that create life, manifest desires, and pull together all that you have worked on in the past (including past lives) to create this expression. Image if you took a small part of yourself and put it aside connected to each thought during the course of a day. As your day went on you would become whittled down until there was nothing left but all your little pieces divided among all the many thoughts. This is what we do when we let ourselves become off balanced and obsessed with the past and future. It is being centered in the present that allows us to freely be connected to the past and future. By being heart centered you can allow the past to guide your heart with the best decisions and let the future be whatever the best and most loving outcome. If we understand these connections within ourselves we can then expand these connections to the world around us. We do this naturally every day. When the season changes it is the memories of the past that help us bundle up in the winter from the cold and have hope the warm sun will soon return when spring returns. Nature also reflects this in the changing leaves and migrating birds. 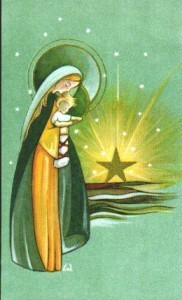 Being centered here now supports not only your own energy but all those around you too. Your strength flows and inspires others to release the past and be present. As future judgment is changed a new open mind and heart can surface in whatever home, school or office you focus in. Old beliefs about what we can do change to let us know a new understanding or discover we can do now what was thought impossible yesterday. So my loves I ask you on this day where are you? Are you in the past wondering why life can’t be like the good old days? Are you fearful of the future and what it may bring? Or are you at peace in this moment knowing you have navigated life to this moment and will continue to be sailing with Divine into that sunrise of tomorrow with ease and grace. Be peace my loves! Enjoy these new connections you are making everyday to each other and to Divine Love that flows in all of you.